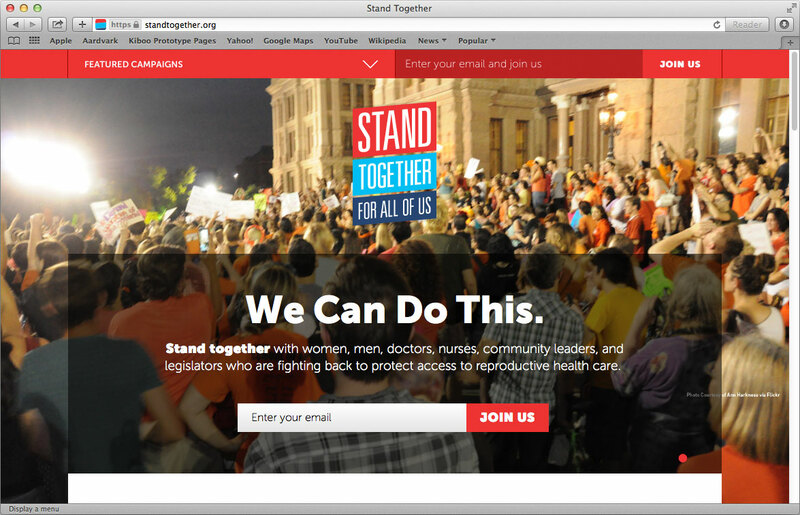 Homepage for Stand Together site - directs to individual state actions, news, etc. 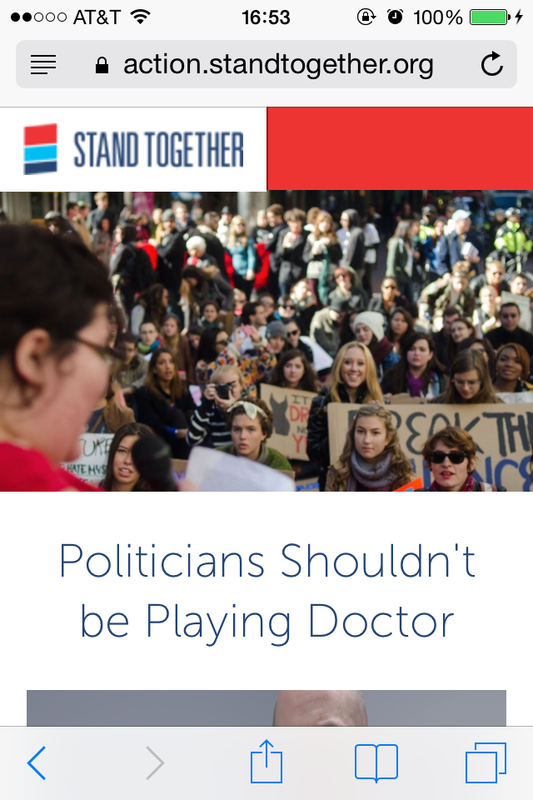 Stand Together is a nationwide movement of people fighting back against a coordinated state-by-state assault on access to basic reproductive health services. 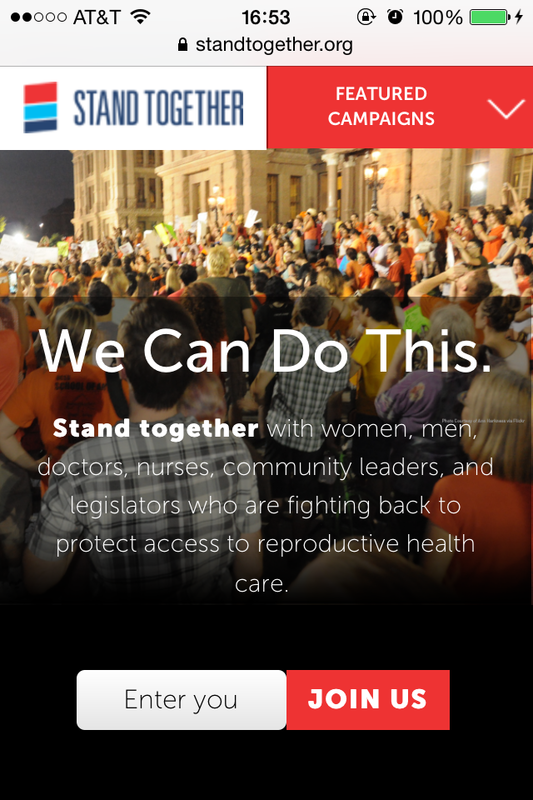 This website, conceived of and designed by the amazing folks at Purpose, allows for people, throughout the nation, to keep aware of what’s going on in their state and to take action. 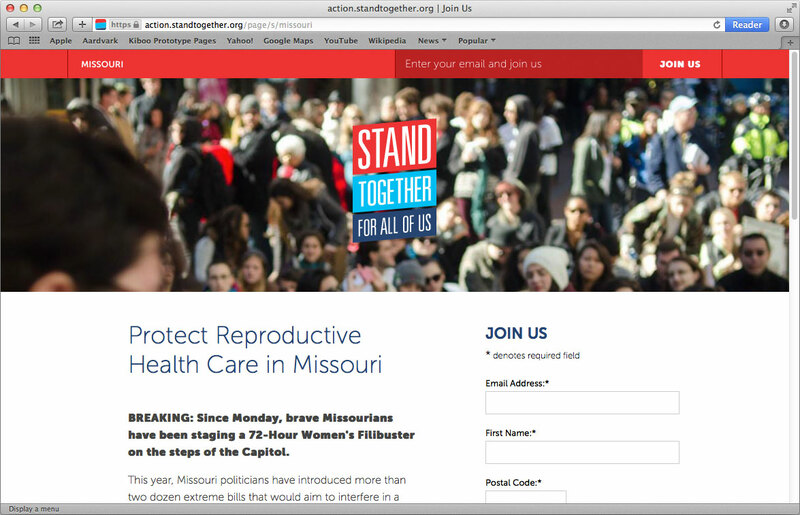 These actions, include sending letters to the editor, contacting elected representatives, and signing petitions, are performed using a coordinated mix of Blue State Digital‘s and Capwiz‘s various and robust services. Already, this campaign has been successful in affecting real change in West Virginia and Alabama. Can’t wait to see what’s next!